At the time of this review, there were three books in the Lola Levine Series. Lola Levine: Drama Queen melds an outsize personality, acting lessons, and an easy cultural mix into one smooth play. 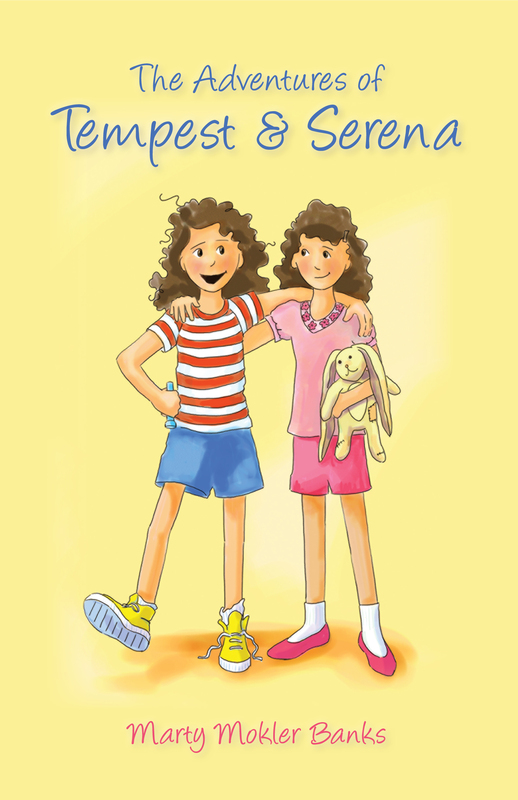 Our protagonist, the effervescent Lola, is precocious without being snarky. She’s kind and brave, even when she fails. She’s a witty thinker, which is a joy to read, and her family is quirky enough to be interesting and solid enough to be comfortable. They love each other, even when it’s hard. This little girl stands out in the chapter book crowd from sheer force of personality (and, maybe, volume of voice). There is fun, smart wordplay used throughout the book. Classic growing-up moments are introduced with precise timing and subtle context within the story (think bubble gum, hair, and scissors). And acting lessons, such as improvisation games and role playing, are introduced in ways that let Lola’s personality shine. What do you say teachers, parents and writers? Use the comment below and let’s chat…. At the time of this review there were five books in the Zapato Power series. That infectious phrase, repeated throughout this simple yet potent little chapter book, begs to be said out loud. Put this book in the hands of a second grader and prepare to hear the phrase yelled within minutes. That kind of enthusiasm is priceless for the growing mind of the reluctant or emerging reader. But this is just one of the many reasons Zapato Power proves itself an excellent chapter book. The deceivingly simple type, illustrations and sentence structure invite the reader, particularly boys. There is nothing in this book that intimidates. And yet. Once in the story, we find a full and complex world. Freddie, our protagonist, lives a reality where uncles can send gifts only after bills have been paid, mothers go to community college, good grades are important, spelling mistakes are made with comic results and bathroom humor appears just enough to add sneaky laughs. As a bonus, Spanish vocabulary and Hispanic culture are laced throughout. This heartbreakingly eloquent explanation is spare enough to be true, simple enough to avoid melodrama. Freddie’s dad casts a quiet but long impression as Freddie, too, works to be a hero. And he accomplishes this from both a civil and personal point, showing that one boy can affect the world. All this might make you think this is a heavy, serious story. Not so. On the surface, Zapato Power is just a cute little mystery about a pair of magical sneakers. But it’s no mystery why its subtle strength leaves a positive impression that will stay with young readers long past the last, funny page. CLICK HERE for The G.G. Series, Book #2, in paperback and eBook. CLICK HERE for The G.G. Series, Book #1. 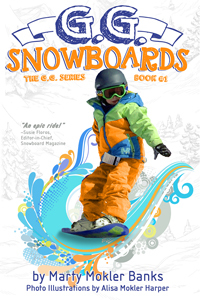 Shred the mountain with sassy, spunky G.G., who learns a new extreme sport in every chapter book. 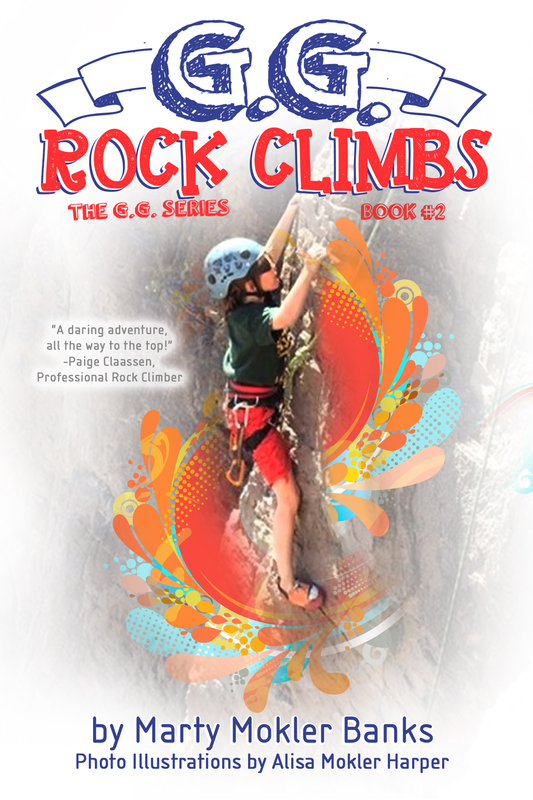 For readers ages 6--10. Looking for a Specific Theme or Type of Book? CLICK HERE for an exciting chapter book with dragons, yaks and sled dogs.